The facts and figures are widely publicized: vaccines are highly effective and a best buy in health, with a return on investment of $44 worth of economic benefits for every dollar spent on them. Dozens of the poorest countries have recently introduced new vaccines against pneumonia and diarrheal disease – common childhood killers – into their national immunization programs. reached with vaccination in the first place. Rainy seasons that wipe out roads for months each year. Health workers use motorbikes and bicycles or walk on foot for hours to reach people where they live, often with minimal compensation. In very remote areas, camels or donkeys are loaded up with vaccines to take to nomadic settlements. In densely-populated urban slums – with a mosaic of financial, social and cultural attributes – the complex challenges to immunization are still being figured out. This is an urgent need given the high rates of disease transmission in crowded settings and the increasing pace of urbanization in developing countries. 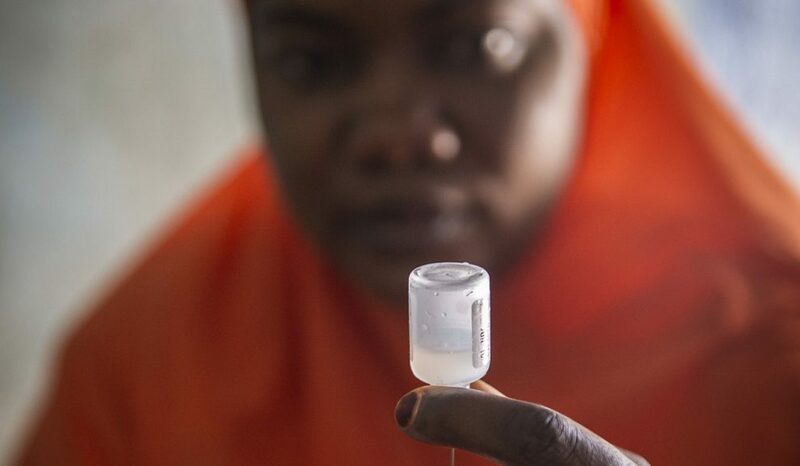 Fortunately, for the past six years, approximately six out of seven of the world’s children have received three doses of a key vaccine that protects them from five diseases as well as doses of other lifesaving vaccines. the 14% of children with the greatest need for vaccination. Moreover, this figure masks the substantial variations across countries. Within countries, population-based Demographic and Health Surveys consistently show that coverage is far lower among the poorest and most vulnerable children with the greatest need of protection from immunization. In Nigeria, for instance, coverage is over 11 times as high among the wealthiest children as the poorest: 80% versus 7%. In other high-population countries (such as Pakistan, DR Congo, Ethiopia and Indonesia), coverage among the poorest children is only 30% to 60% as high as for the richest children. also the commitment and resources to use them fully. The tools exist. The Reaching Every District approach (RED), designed 15 years ago by the World Health Organization and UNICEF with input from USAID, provides robust management tools that are currently being updated to better address the need for equitable and integrated health services. At USAID’s flagship Maternal and Child Survival Program, our introduction of local adaptations to these tools in Uganda – including the use of quality improvement methods and a community-informed service mapping process – are showing promising results. These methods enable district-level health managers to easily see their own problems in their health catchment area and take action to optimize use of limited resources. For example, health personnel in the country recently described that they can now reach more children for the same money by moving outreach sites from one place to another based on the mapping results. MCSP’s support has also enabled districts to achieve a 9- to 22-fold increase in the percent of health facilities with completed microplans, and an increase of 23-38% in the number of routine immunization sessions, depending on the district. Some tools commonly used in immunization – particularly the micro-plan prepared by each health facility to detail its schedule of vaccination services – have the potential to benefit antenatal care, family planning, and other aspects of child health. A district health officer in Uganda said that he would use the immunization mapping and micro-planning approach to better distribute his health staff, track tuberculosis cases, and better situate latrines in communities for improved sanitation. But the devil is in the details: it is conceptually easy to apply RED tools to other health interventions, but more difficult to do. It requires technical know-how on multiple interventions and active sharing of lessons learned. Plans are only as good as their implementation and this requires resources. Poor management leads to delays in the national procurement of vaccines, shortages in fuel to deliver supplies, and empty accounts for staff per diems. These often disrupt services, even if actual resource shortages are very small. The service disruption, in turn, discourages health workers and frustrates parents. 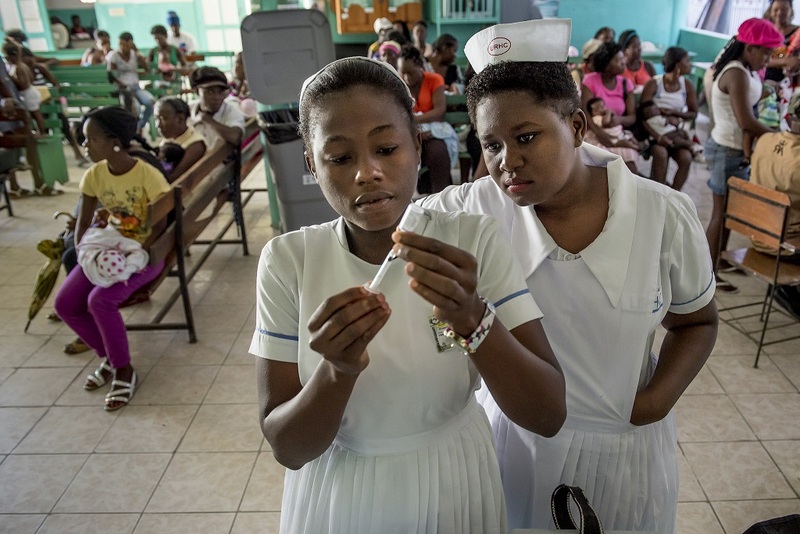 Management improvements introduced through immunization will not only enhance the planning and delivery of primary health care services, but also improve health workers’ capabilities and motivation to resolve their own problems. But health personnel do not work in a vacuum. Join us on April 26th at 8:30 am EST for our bilingual (English and French) Twitter chat on the importance of vaccination in preventing under-5 deaths. Follow @MCSPglobal and use #TalkWIW to join the conversation!